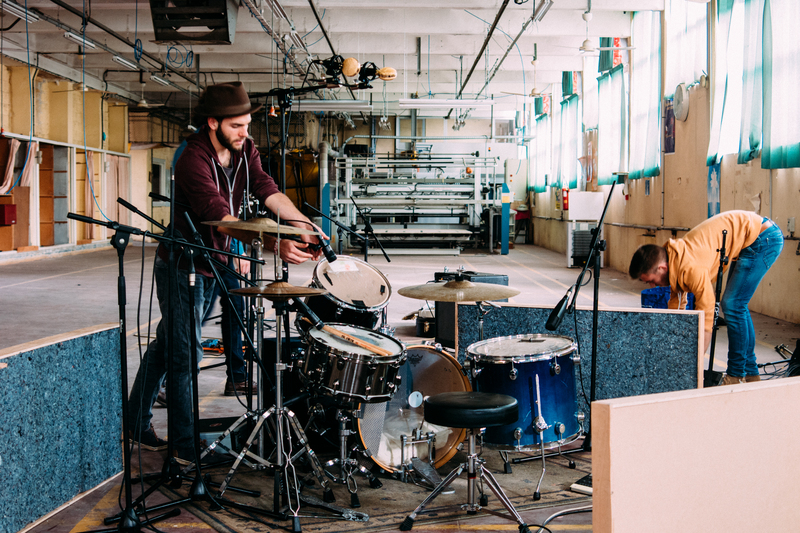 Cougar Parking, the raw sound of an old textile factory and its past. At the beginning of november 2016, I was in an old textile factory in Hellemmes in Lille, to record a song of Cougar Parking. Cougar Parking is a rock psyche band mixing punk and rockabilly, it’s crazy and sound massive ! 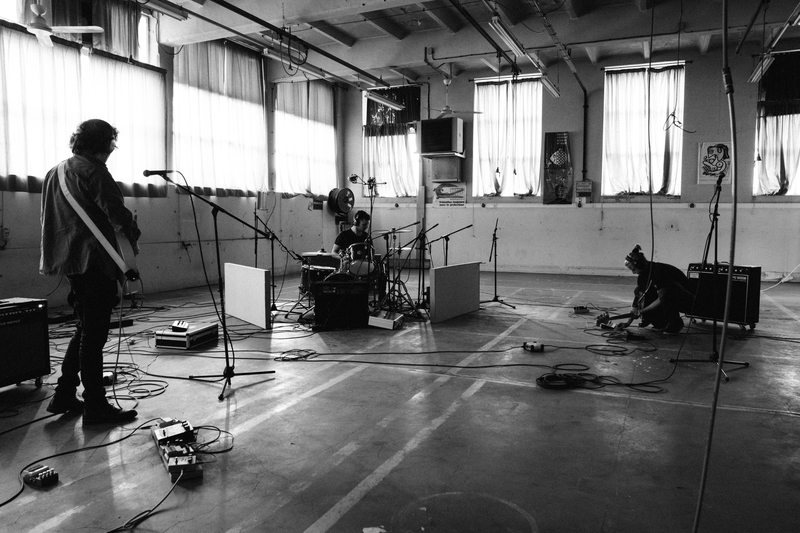 To remind the « raw » identity of the band, we wanted to record in this outstanding place : two concrete big rooms of 100m² with high ceilings…. There was reverb and a very special one ! For me, it was also the first time I tried my new « Fat Cat » ribbon microphones for the overhead and the Charter Oaks as rooms mics. The result was a warm and detailed sound, followed by a nice reverberation. The place colored the sound, and gave a cohesion between all the instruments. The environnement speaks for itself : it reminds us of these hundred persons who were spinning textile for hours with a lot of background noise. Playing here is unusual and set us in a creative atmosphere. There are still huge machines, cables, hearing prevention posters (good joke), a hoist, and an old Nespresso distributor ! First, we recorded live to have the drum parts, and we added basses, guitares, vocals and backing vocals. We tried a lot of different sounds, there were not all good but we managed to have what we wanted ! The song starts with a big engine sound to know what it’s about.